I recently received an email from National Geographic Fine Art Galleries (NGFA) for a request to include one of my photos in their galleries. It was a photo from 2012 of the Village of Gasadalur, which was published in the Dec. 2012/Jan. 2013 issue of Nat Geo Traveler. However, after I received additional information, any initial excitement turned into disappointment. NGFA follows a pricing matrix which is arranged by size and category. There is a pre-release price that is held for 30 days (an example of a pre-release price at 70cm is around $1,800 and 200cm is $4,950). After 30 days, the price increases (in this example, the 70cm increases to $2,250 and 200cm to $5,750). As the images sell, the price increases based on the sales rate. NGFA pays the National Geographic Creative agency a 10% royalty on these sales, and then we split that 50% with the photographer. So if a print sells for $1,800, the gallery pays National Geographic Creative $180, and then we split half of that with you, $90. That is the lowest amount you would get for a print. You will be asked to provide a digital signature, a background story for the image and a short biography. 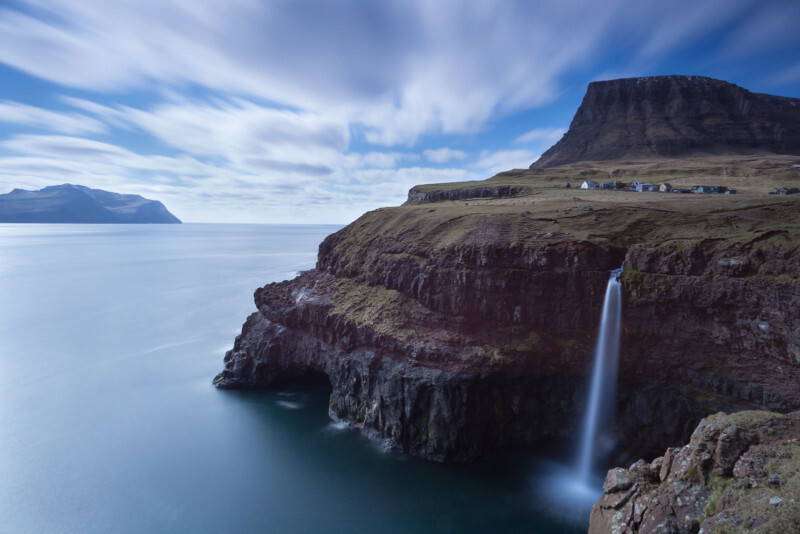 My 2012 photo of the Village of Gasadalur on the Faroe Islands. This was published in Nat Geo Traveler and is the photo I was contacted about. NGFA says it “tests” the photos on their Instagram page first, to determine if it meets “certain criteria”. Based on recent NGFA Instagram posts, they seem to be targeting photographers who have placed well in Nat Geo photo competitions or who are popular on the Your Shot community. It makes me wonder why NGFA is seeking photos from photo competitions and Your Shot. Perhaps it’s the low 5% commission? NGFA makes editions of 200 for each photo, which is an extremely high number of prints for an edition. The photographer is usually involved in the print process for fine art prints, whether he/she is printing them or having someone else to do so. I was told all of this would be done via email, and if necessary I could get a single proof mailed. This seems fine if you’re printing posters, but for a fine art print, the photographer usually approves and signs each and every print. A great relationship with a gallery might warrant a lower commission, but not 5%. There’s usually some sort of relationship with the photographer/gallery and future projects, etc. So, I inquired to see what the gallery/photographer relationship would be. The rep quickly made it clear no such relationship would exist. “This request is only for the one image by the National Geographic Fine Art Gallery,” she told me. Oddly, the contract also stated I would have to submit a digital signature. I asked a VP at NGFA about this, and he said, “we digitally sign all final production pieces via autopen. They aren’t physically signed so we will require your signature at the final stage”. An autopen is a machine that uses a pen to replicate a signature. While that may be true, I find it hard to believe someone would pay thousands for a photo that wasn’t even signed by the photographer. An autopen signed print is a poster, not fine art! I could certainly use the extra income, but I couldn’t justify such a small commission and contributing to the ever-lowering pay scale for photographers. Not to mention, the autopen! 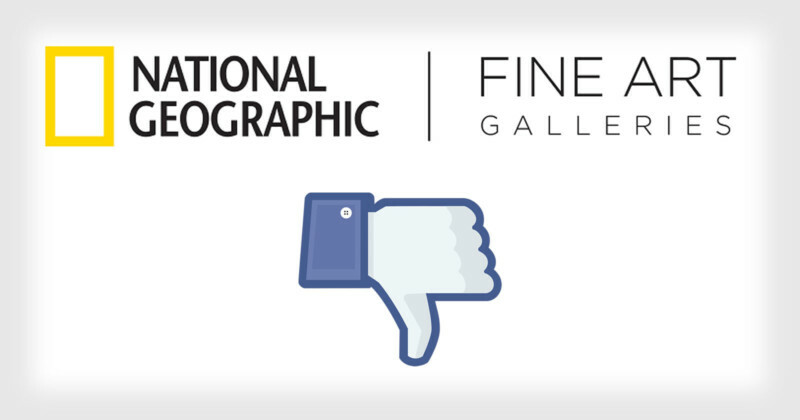 What is your opinion about the deal National Geographic Fine Art Galleries offers photographers? About the author: Ken Bower is a graphics designer and outdoor photographer. The opinions expressed in this article are solely those of the author. Bower’s work has been published by VICE, Business Insider, National Geographic, and National Geographic Traveler. You can find more of Bower’s work on his website and Instagram.